Talking to Restaurant India, Chef Ashish Massey, Chef & Entrepreneur shares about his journey in the world of food. The journey has been phenomenal. I have grown as a kid who used to study about food and then taking it as a profession and enjoying my work experience as a chef and an entrepreneur. I love my job because every day is a new day in the food industry as your passion for the same increases every single day. What according to you is the latest trend hitting Indian food industry? Today concept restaurants are moving towards new style of food which has Indian cuisine from north to south and east to west but yes with western touch in it. Earlier, only western cuisine was supposed to be an elegant cuisine for dine-in or fines dine restaurant but now we can see the transformation in the Indian cuisine getting ahead of that. We see that eating habits of people is getting influenced by western culture. What is the reason? Yes, that’s so true restaurants are introducing new and westernized style of food, the concepts of restaurants have changed to new styles. Our basis in restaurants are still Indian but yes people want to change their taste with some Signature Indian dishes which people still want to enjoy and relish. According to you what is that particular thing that is very much promoted in India? Chefs and restaurants are moving backwards to the authentic Indian culture. They are bringing back those recipes which has slide down the lane. I think our roots, our Indian food is the top most things which is very much promoted in India, no matter which food style or culture we move towards but when it comes to food our taste is very much Indian as we all love it. Tell us about your restaurants? How are you meeting up with growing challenge and competition in the industry? Amongst our restaurants, two of them are on the concept of barbeque and the one is based on the concept of alacarte which serves biryani. If you see every industry has to face competition but you have to be up to date with the market trends as we keep on introducing new menu’s so that people do not get bored with the typical regular menus rather should try new food . Being into a barbeque concept we have several options to change the menu and give customers a new feel when he comes back again and similarly being into an alacarte restaurant it is difficult to change the menu so often and that is where we pay more attention towards the consistency of our products served every time to our customer. What is some unique strategy that you follow while playing with your flavours? Well there is nothing unique, every flavor is unique in itself, but yes our choices of the unique strategy of food are that the flavors should be balanced. Flavors should be of a perfect balance even when a kid wants to taste it or the adults it should not be over powering. The flavors should be subtle for any type of food selection. We play with different textures of the food rather than changing their flavors very often as people should remember the same flavor but with a different texture. You are running threerestaurants. How does each of them differ from other? We are dealing into two verticals of the restaurant: two are buffet dining restaurant and another one is an alacarte restaurant. Both of them have their different challenges and benefits. Tell us about your future plans and innovations. Future plans are on the line of innovations and the trend which is there in the market. 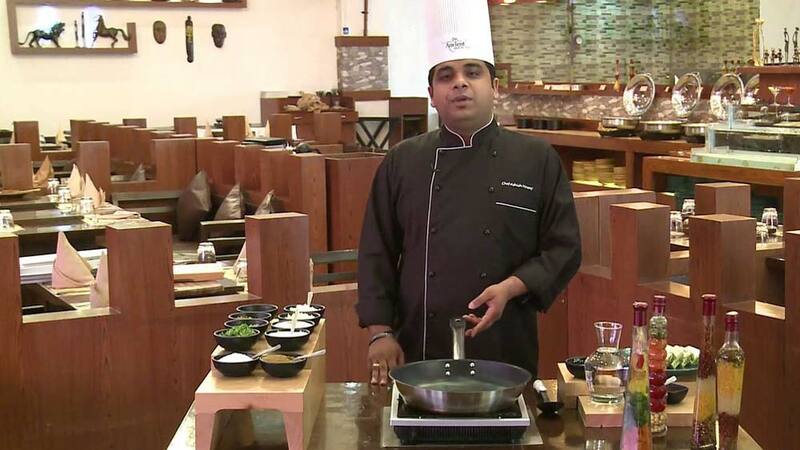 I am introducing Ardour Cooking with Chef Ashish Massey where in it becomes easy for people to learn new techniques and easy tips related to cooking. There will be interactive sessions and cooking classes for people who want to come and learn the joy of cooking food and yes some plans for setting up new ideas in the online food industry. Cancer causing chemical found in Breads: CSE..